Using your mouse, select the correct layout type (for example, U.S. English) for the keyboard you would prefer to use for the installation and as the system default (refer to Figure 12.10, “Keyboard Configuration”). Once you have made your selection, click Next to continue. 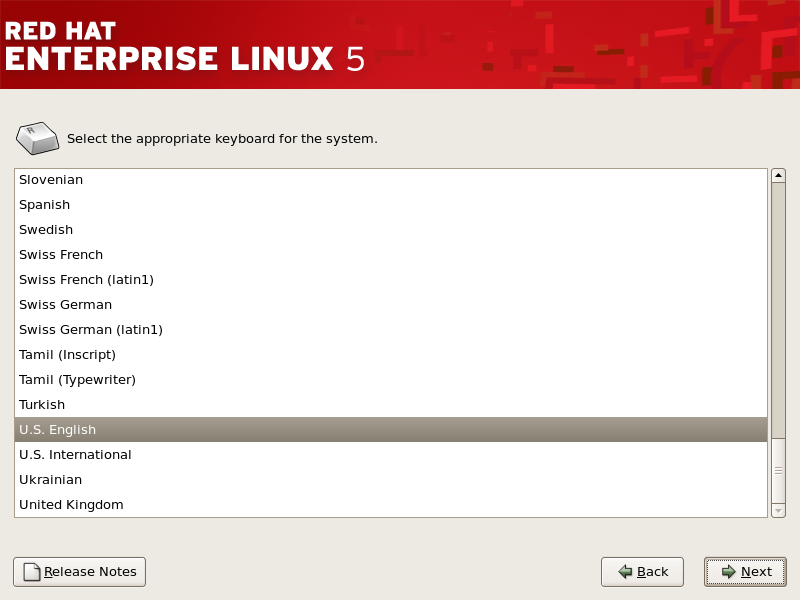 To change your keyboard layout type after you have completed the installation, use the Keyboard Configuration Tool. Type the system-config-keyboard command in a shell prompt to launch the Keyboard Configuration Tool. If you are not root, it prompts you for the root password to continue.